An appeal for witnesses has been made after a stolen car was pursued by police northbound along the M23 and then on to the M25 yesterday afternoon (Tuesday July 25). Police in Sussex received a report of a burglary around 3pm in which a light blue BMW was stolen by a man. The vehicle travelled up to the M25 while it was pursued by specially trained officers at 3.26pm, ending at 3.34pm on Hurst Drive in Walton-on-the-Hill. The man then left the car and headed towards Chequers Lane. Surrey Police investigating officers need to hear from witnesses who saw the occupants make off from the car. 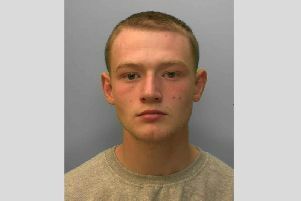 One man has been described as white, aged approximately in his late 20s, wearing a white shirt and a white baseball cap. He was possibly accompanied by another male. Officers were assisted by the National Police Air Service.